A water heater is one of the most important parts of a home. Luckily, you can easily rely on it to operate behind the scenes to make it possible to use hot water for many of the modern day appliances we take for granted such as our tubs and showers, washing machines, dishwashers, and more. One of the best things about a water heater is that it lasts for a long time (usually between 10 and 13 years) depending on factors such as a how efficiently it works in terms of conserving water and energy. A water heater is oftentimes attached to the toilet or in the kitchen of a home. A water heater amounts to approximately 30% of a home’s energy costs. If a water heater heats less than 45 gallons of water, there is about a 5% boost in the energy efficiency but if the heater heats more than 45 gallons of water, you would most likely see a 20-40% increase in your utility bill. There are times when it is difficult to choose the right water heater system for your home. There are many pros and cons for each type of water heater and for, your convenience, we have compiled a list of them along with their features and functions. This will enable you to understand your needs and you will be able to choose the right water heater depending on its size and the energy costs for your home. This is the most common water heater and is basically a simple device used mostly for household purposes. The water heater contains an insulated storage tank that can hold a quantity of heated water, usually between 20 and 85 gallons and can be drained with ease when required for maintenance. It can be easily placed in your kitchen or attach to the toilet in your home. The heater is usually powered by the electricity service at your house, but there are some storage tank water heaters that operate with natural gas, liquid propane, or oil. The interior part of the tank contains a gauge that reads the temperature of the water. When it falls below a preset level, the unit kicks on to heat the water back up. This procedure of heating water can go on for 24 hours a day, seven days a week, even while you are sleeping or away from home. This is a great water heater because it ensures that there is already a sufficient supply of hot water when you need to take a bath or shower rather than having to wait for the water to heat up. That is why storage tank water heaters are also known as standby heat loss. The standby is responsible for the 20-25% decrease of costs seen on a typical yearly utility bill. Currently there are many energy efficient storage tank water heaters available in the market that decrease the loss of heat and are cost-effective. Having a water heater system means you must maintain the heater on a regular basis. This will prolong its life and should prevent you from having to repair or replace it. Every once in awhile, perhaps when you clean your toilet, clean the exterior part of the water heater. You must drain and flush the water heater at least twice in a year in order to get rid of any build-up of minerals or residue. Regularly check the pressure relief valve to make sure that it is in good condition. This type of water heater does not contain any storage tank and, therefore, saving you money on energy costs being that the heater only heats the water on demand, hence its name. The water heater decreases the cost and energy consumption by 10-25% and it is powered by propane or LP gas, natural gas, or electricity. Demand water heaters can be easily attached to the pipe system through the toilet of your home. The cold water travels through the pipe system of the toilet into a unit where an electric component or a gas burner heats the water. This type of water heater system enables you to never deplete yourself of hot water, however the drawback of demand water heaters is that it is resolute to a low flow rate. The water heater provides you with hot water at a rate of only 3 gallons per minute. The waiting time is even longer when you need to drain water for maintenance purposes. Even though this rate of flow might meet the requirement of a household, it is important to note that this rate is only that high when the water is being used in one part of the house. This means that if hot water is being used in shower, the rate would be decreased if it was also being used in the kitchen. Sometimes you may only be able to use hot water in one part of the house at a time using a demand water heater. Demand water heaters with gas burners are not as energy efficient as those run by electricity, however they tend to have increased flow rates and cost less than electric water heaters. Demand water heaters can usually last for a lifetime and if the heating element stops working or the pipe system of your toilet breaks, you can easily replace it at a low cost. 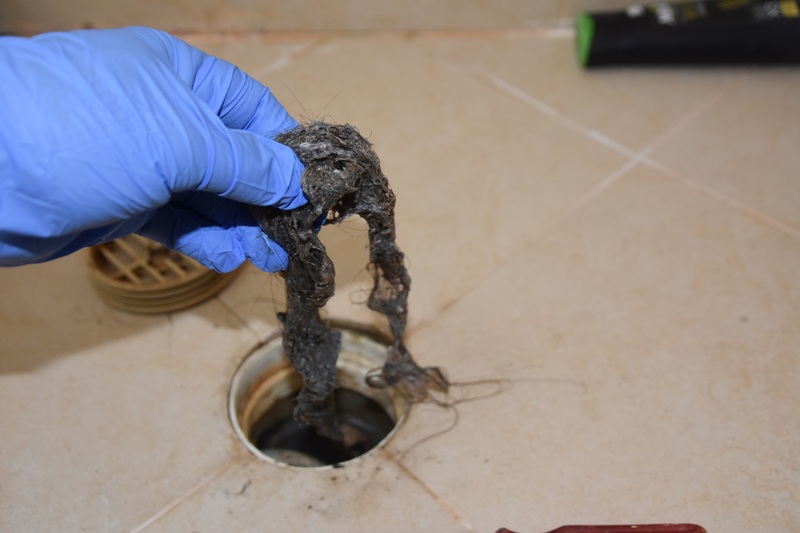 It is important to know that you must hire a certified plumber once every six months to flush the unit in order to dismiss accumulated mineral deposits. This type of water heater is best for space heating and you can fix the heater in your kitchen or toilet of your home. These work by extracting heat from outdoors, indoors, and exhaust air and transmitting that heat into the heat pump water heater to warm the water. It includes a tank along with backup resistance heating components and some of the models work simply as an appurtenance to a traditional water heater. The most common form of heat pump water heater is an ambient air source unit that enables the heater to extract heat from encompassing air and, in turn, provide the benefit of cooling the space provided. The encompassing air continuously extracts heat and it is best for extremely hot and humid regions. Some of the water heaters can be adjusted into two types of mechanisms to operate smoothly in both summer and winter, making it easier to use hot water in the kitchen or toilet any time of the year. The heat pump water heater contains a Desuperheater that provides a cost-effective auxiliary water heating system for central air conditioning. The feature is a part of the heat pump and it operates when the resistance electric coils cater to water heating. During winter, the Desuperheater increases the energy efficiency of the water heater which reduces your cost to heat your water. It is known to save energy up to 50% when compared to traditional water heaters. You must regularly clean the interior part of the heater after draining the water from it once every month. If you want a free and unlimited source of hot water, a solar water heater is perfect. Approximately only one in one-million households install a solar water heater. The solar water heater has two components which include a solar collector and an insulated storage tank. Unlike the traditional water heater that can be installed in your toilet or in the kitchen, a solar water heater can be installed only in the outer part of your home. The heater absorbs the sunlight and heats the absorber inside the storage tank. The heat is then transferred to the water that flows through a tube that is attached with the absorber. The water that is heated is then stored in a different tank until needed. There are two common types of solar water heating systems – direct circular system and indirect circular system. The direct circular system consists of a pump that distributes the water through a solar collector to the storage tank and the indirect circular system distributes an antifreeze substance to a solar collector where the water gets heated. Other types of solar water heater systems include thermosiphon systems, drain-down systems, and air systems. According to many researchers, a solar water heater is very reliable and is best for renewable energy, as they decrease the amount of electricity or fossil fuels by up to 80%. A solar water heater is known to last for more than 15 years but it must be regularly maintained every 2-3 years by an expert. Between professional cleanings you must regularly clean the solar collectors, examine the piping system of the storage tank along with the pipes connected to your toilet and kitchen, check for broken duct or wiring and examine all the nut and bolts to ensure that they are securely fastened. Solar water heaters provide a high flow of water which means that if you are taking a shower, hot water can be still used in the kitchen to wash the dishes.